Rivers and streams throughout Canada are rich in wildlife, and capturing a glimpse of them is a treat for anyone visiting the country’s great outdoors. Fishermen in particular seek out the determined salmon, who swim against the current to spawn. The resilient fish face challenges not just from fishermen and the current but also from their many predators. This coin celebrates the fish in all of its beauty with an optical illusion. It depicts a waterfall amid tall mountains. At first glance, the holder could easily miss the fish. On closer examination, though, his eyes and mouth emerge near the top of the waterfall, and his body cascades along with the water. FOUR NINE FINE WITH PROOF FINISH – Each 2016 Silver Landscape Illusion Salmon was struck from 99.99% fine silver at the Royal Canadian Mint. The purity matches the high standard set by the country’s bullion coin. 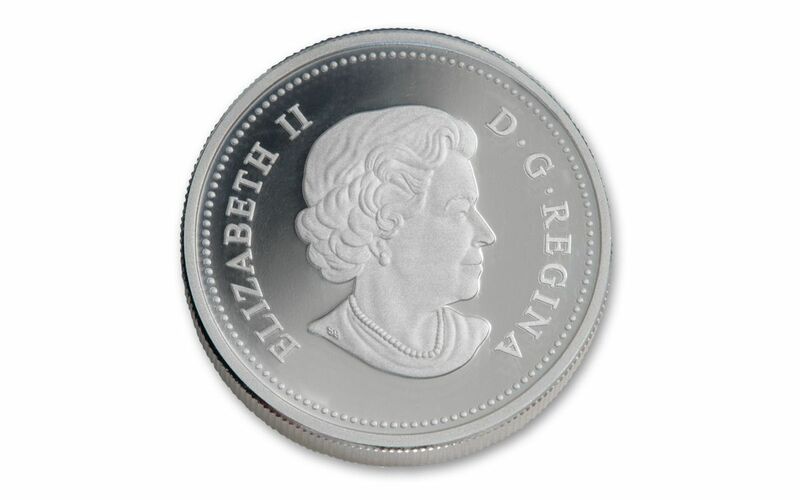 The coins also have a stunning proof finish that brings the optical illusion to life. CONFOUNDING THE EYE WITH AN OPTICAL ILLUSION – The fine artistry of Julius T. Costonyi makes it difficult to discern whether a salmon is actually there no matter how many times you look at the coin. Is the fish hidden in color behind the water, or does the water itself just offer the illusion of a fish? Examine this coin as often as you like; you may never know. 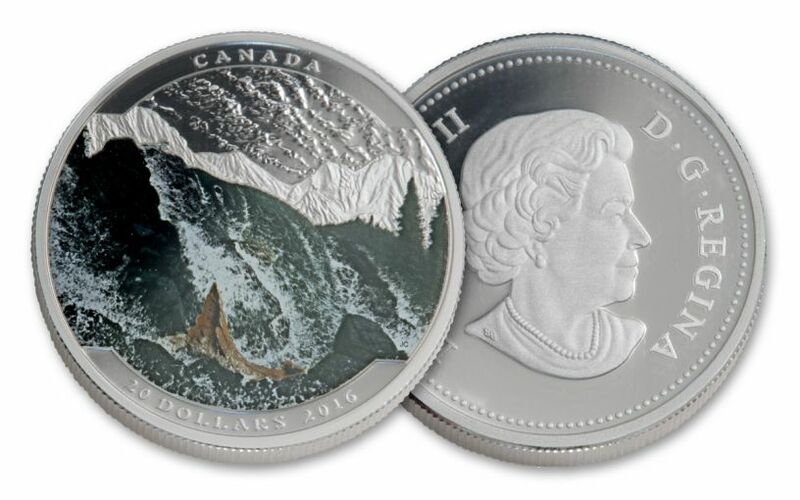 CANADIAN LEGAL TENDER -- Each 2016 1-oz Silver Salmon Proof is $20 Canadian legal tender, as shown along with the date at the bottom of the reverse. 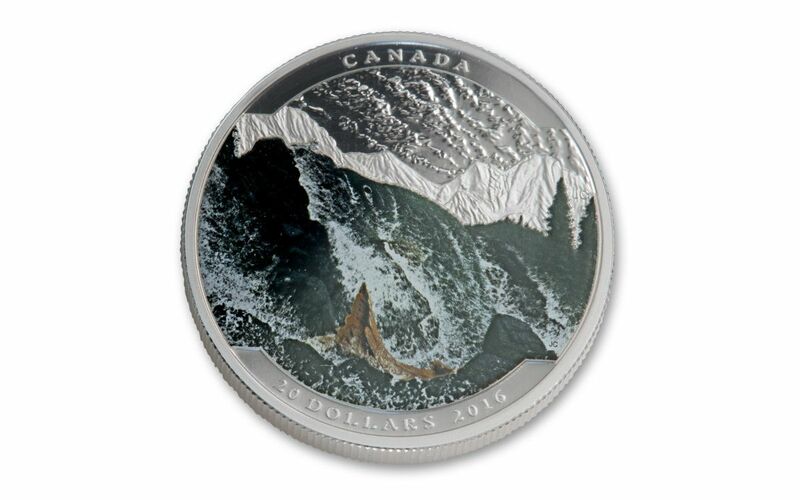 A LIMITED MINTAGE – While the coin is sure to be popular among fishermen and collectors of coins with natural scenery, two large groups, the Royal Canadian Mint minted just 5,500 pieces. Canada’s vast outdoors offers a diverse array of endless coasts, towering mountains, frozen tundra, forests, and beautiful running streams and rivers. It is little wonder that in those vast settings optical illusions can blend in with the plentiful wildlife. Julius Cstonyi captured such an instance in this 2016 Silver Landscape Illusion Salmon Proof, leaving the holder to wonder, perhaps indefinitely, as to whether he sees a fish or a water formation that looks like one. See if you can figure it out by ordering yours at GovMint.com before the opportunity, like this image, proves illusive.